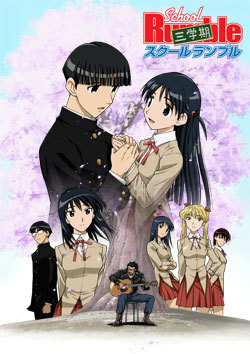 A short 2 episodes attempt to conclude the series. Love is in the air once more! As the last day of school draws near for class 2-C, Tsukamoto Tenma and Harima Kenji are still no closer to confessing their feelings for the respective targets of their affections. But when the gang learns that Karasuma-kun may be moving away for good, it becomes a race against time for them as they struggle to push Tenma into taking that last big step. Can Tenma confess her love before it is too late, or will Harima finally muster up the courage to sweep Tenma off her feet?